There will be a bit of irony in this post. I can’t help that (well, I guess I could help it, but then I wouldn’t write this post and you wouldn’t have this post to read–not that you’re going to read it, but…). It’s ironic that I’m using social media to share lessons learned while on a social media fast, but this is the 21st Century, so what’ s a guy to do? I missed Facebook for, oh, about one day. I learned I didn’t really miss it at all. The longer I got into the fast the less I thought about logging on to check my newsfeed, or other people’s status updates. I learned that Facebook was limiting my creativity. My productivity soared during those twenty-six days. I wasn’t constantly checking updates. I learned that Facebook was hindering my spirituality. I spent more time in the Bible early in the morning instead of scrolling through the newsfeed to see what I missed overnight–like why would I even care what happened? I learned that people are not nearly as interested in my life as I think they are. A Facebook fast can be very humbling! Not once in the twenty-six days did anyone ask me about my latest status. I learned that I don’t need to share with the world every thought that comes into my head. I had a tendency to share random thoughts posted as status updates on my “wall.” Most of those random thoughts are probably more suited to Twitter, but I just don’t use Twitter that much. Actually, I discovered that I didn’t really miss other people’s random thoughts. It dawned on me–why would other people miss my random thoughts (outside my mother and my wife, perhaps). I learned I wasn’t as angry all the time. A huge percentage of what people post is negative and divisive. It’s impossible to filter everything, and as I scrolled I couldn’t help but catch a headline denouncing “conservative” Christians, or “progressive” Christians, or the President, or the “Republicans,” or whom or whatever. Scrolling my Facebook newsfeed, I was always angry, that’s just not very Christ-like, and for as much as I fall short, I sincerely want to be more Christ-like. Oh, my…and the comments! People can be down-right mean. I didn’t miss many of the comments, at all! I learned I wasn’t offended all the time. In tandem with number six, there are a lot of offensive posts on Facebook. The most offensive thing is stupidity, and there is much that is stupid posted on Facebook (confession: I’ve even posted stupid things before). I learned that “real” life is in the real world. I was much more deeply engaged with the people around me instead of the people in the device in my hand or on my desk. I now wonder how much “real” life I actually missed by being logged on so much previously. After all, we know people post on Facebook mostly those things that make them look good (excluding, of course the occasional drama king or queen who insists on posting the latest sad tale of their life–yes, Facebook can become very narcissistic! ), so what I was seeing wasn’t “real” life, at all. Here are a few tips that I am employing as I re-engage with Facebook and other social media (though, I’m not greatly connected outside Facebook). Maybe they’ll help you if you’re feeling the need to be a little less connected. Remove the Facebook app (or Twitter, or Instagram, or Pinterest, or Vine, or…whatever your social media of choice is) from your smartphone. And, log out from your social media accounts when you’re done. 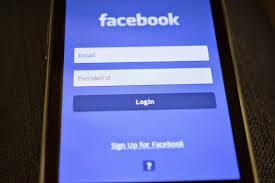 If you must access social media, access it through your browser app. I discovered the longer it takes to log in to something, the less I’m likely to do it. Do not stay logged in to Facebook while you’re working. It’ll be a distraction from the work in front of you. Turn off your push notifications. You don’t need to know every time someone tags you in a photo, or mentions your name in a status update. Calendar your time to be on social media. I’ve discovered if I put something on my calendar, I generally abide by the calendar. Social media isn’t a bad thing, so it’s not to be avoided at all costs. Simply be intentional about the time spent on social media. If you want 30 minutes a day, okay. Calendar 30 minutes a day. Then, stick to it. Let me encourage you to un-plug, even if it’s only for a day or two. Seriously, it will deepen your spiritual life if the first thing you pick up in the morning is a Bible instead of a smartphone or tablet. Maybe this post was helpful. Maybe it wasn’t. Either way, you can check it out on Facebook or Twitter, and that’s quite ironic, isn’t it?